Please note that our position at this website is that there is no better way to feed your dog than raw. We realize everyone has their own opinions and we respect your choice of what you believe. But after raising dogs and breeding dogs, there is NO better way to feed your dog than raw. The article below will give you all the information you need. If you read the labels on the back of commercially-prepared dog food, at first glance it might appear as if they are well-fortified with all the nutrients a dog needs to stay healthy. But if you read a little more closely, you will soon realize that this kind of food is heavily laced with preservatives, additives and other kinds of substances or chemicals you’ve never heard of and probably can’t pronounce. And it is grains, not meats that make up the primary ingredients of commercial dry dog food, even though the dog is a natural carnivore. In the search for something more natural, many dog owners have now switched to a raw food diet. Raw food means just what you would imagine – raw meat and bones, organ meats, raw eggs, fruits like oranges, apples, and pears and starchy raw vegetables such as broccoli, spinach, carrots and peppers. The idea is to replace the grain-based ingredients of commercial pet foods with protein and vitamin-heavy foods that have not lost any of their nutritional value through cooking and processing. A raw food diet attempts to recreate the types of diet that dogs would have lived on before domestication, when they still lived as wild predators. Human beings are the only animals who need to burn meat beyond recognition in order to be able to eat it. For dogs, who evolved as carnivores and predators, a raw diet is entirely natural and healthy. Nevertheless, a raw food diet is still somewhat controversial among veterinarians, breeders, dog owners and other authorities. 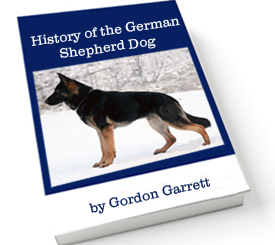 While dogs may have been wild carnivores in the past, that was a long time ago and it does not necessarily follow that the diet of a modern dog should be identical or even similar to that of their ancestors. On the other hand, most who have tried a raw food diet with their dogs and stuck with it recommend it highly. If you are thinking of putting your dog on a raw food diet, you should certainly familiarize yourself with the controversies and issues involved before making a final decision. Common sense would suggest that a diet close to what would be consumed in nature is healthier for any animal than the alternatives and the experiences and reports of dog owners who have put their animals on raw food diets seems to verify this assumption. Many who have put their dogs on a raw food diet did so only after their animal began to suffer from some kind of physical malady and a good portion of these dog owners have reported amazing results. Commercially prepared foods, in addition to their over reliance on grain and their use of chemical additives also lack moisture, which may explain why so many dogs eating exclusively dry dog food are plagued by digestion problems and constipation. The physiology of the dog makes him a natural carnivore and eating foods raw is completely normal behavior even for an animal far removed from the wild. Therefore, it is not surprising that changing to a raw food diet could help restore sick dogs to good health. Veterinarians have raised some concerns about a raw food diet. Much of the food supply in the United States is contaminated with bacteria like salmonella and e.coli and the cooking of food is important because it can kill these potentially dangerous microbes. Nutritional imbalances are also a concern, because while commercial dog foods might have their faults, at least they are fortified to provide all the vitamins and minerals a dog needs. Raw foods come with no labels and many dog owners really do not have enough knowledge about nutrition to put together a diet for their animals that will meet all of their requirements. Another concern of veterinarians is the possibility of dogs choking on uncooked bones or even damaging their intestines when they try to pass bones that have not been completely chewed and digested. Some veterinarians have also pointed out that most of the evidence about the benefits of a raw food diet is anecdotal and not yet backed up by controlled scientific study. Another problem is the cost. 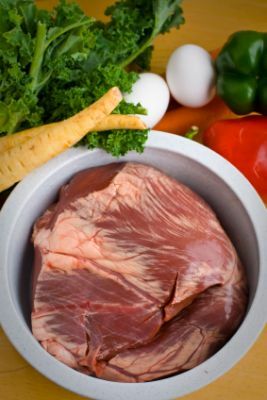 For many dog owners, the price of meat in particular could force those trying a raw diet to take some shortcuts, like buying cheap fatty meats or not providing enough of it as a food source. A properly designed raw food diet is almost assuredly going to be more expensive than the alternatives and this is something that will have to be taken into consideration by those contemplating the raw food option. Raw food proponents point out that dogs have stronger constitutions than humans and they are not as vulnerable to bacterial infection. Bones can present a risk, but they can always be ground up before they are fed to a dog. The cost is an issue, but it does not have to be an insurmountable problem, since there are affordable quality meats available. Certainly, if one is going to make the change to a raw food diet, then it is absolutely essential that they do extensive research to make sure they will be able to provide a balanced and healthy diet for their canine companion. A raw food diet would represent a healthy and natural choice for most dogs. Given the concerns that veterinarians have raised, however, it might be a good idea to consult with your vet before making the switch, to make sure that you know everything you will need to know to put together a diet for your dog that will give him everything he needs to live a long and healthy life. We believe in the raw food diet for our dogs so much that we guarantee our puppies hips and elbows for 2 years if you feed them raw. To get details on how to obtain the best raw food for your dogs or cats, click here!